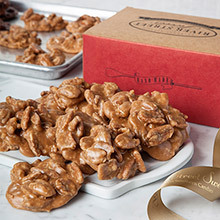 Okay, so we're a little biased, but we really believe our crunchy, handmade brittle is the best you've ever tasted. 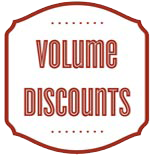 That's why we guarantee you'll love it! 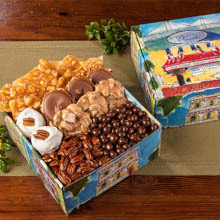 Arrives packaged in our keepsake, stay-fresh gift tin. 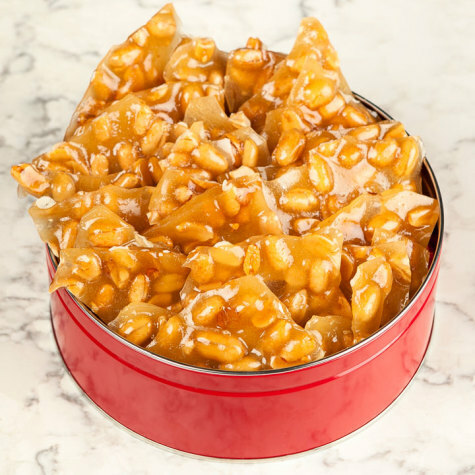 16oz Signature River Street Sweets Tin of Crunchy Peanut Brittle. I was disappointed with the peanut brittle that I ordered. The candy did not taste as fresh as I had hoped it would be. Since there was a lot of "air" space in the tin that the candy was shipped in, most was broken in very small pieces. Also, each bag had at least a handful of candy that had been so shaken in transit that it was too broken to eat. I understand that packages are not handled carefully during shipment, but filling the empty space in the container may prevent some of the movement which causes the candy to be broken. Owner Response: Thank you for taking the time to provide a review. I am very sorry for the problems with the Peanut Brittle that you received. 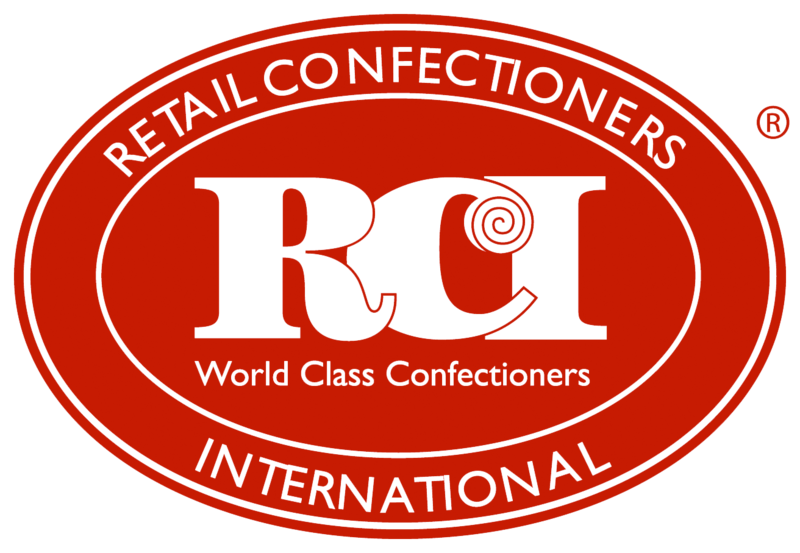 Our customer service representatives can be reached at 1-800-793-3876 or customerservice@riverstreetsweets.com, if you will contact us at your earliest convenience they will be happy to make this right. Best Brittle I've ever had ,every bite you'll get a peanut or 2. it's not tooth breaking hard. It's good crunchy smooth, it's a little high on a lb. Tin, it's worth splurging for.. The peanut brittle was amazing. I think I ate an entire package myself! I will definitely buy again! They came nicely packaged and I did not have any problems with a bunch of broken pieces. I sent the Brittle to my Papa who is almost 88 years young. He was so excited, said it was AWESOME and he has to hide it so he can make it last longer...guess next time I send larger container. My original order of peanut brittle came in pieces, I was not very impressed. 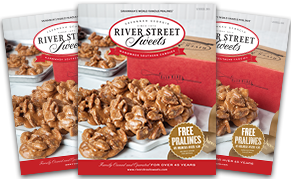 I emailed River Street Sweets and explained how I received my order and they immediately corrected my order and sent me a new order. The new order that I received was in much better condition and it tasted amazing. I absolutely loved the peanut brittle. Thank you for making my order right.